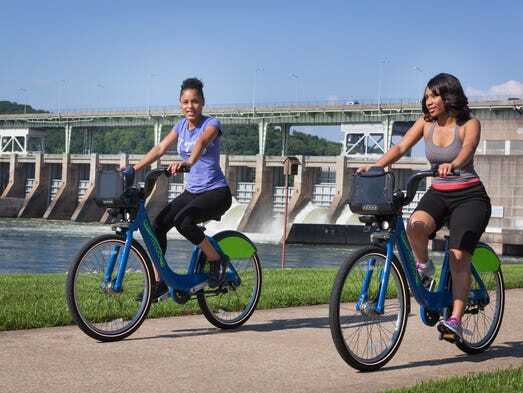 The USA Today has posted an article about using bike share programs for touring cites: Great Urban Rides: Bike-share Itineraries for Visitors. They have a paragraph or so for New York, Boston, Chicago, D.C., San Francisco, Columbus, Toronto, Chattanooga, and Portland. It’s a great idea, particularly for the “accidental” tourist who may have a very limited time window to explore. We’d definitely add BTBT’s San Antonio ride to the list. For that matter, any city with bike share is a candidate. If you have an hour or two free in a new city, check it out!